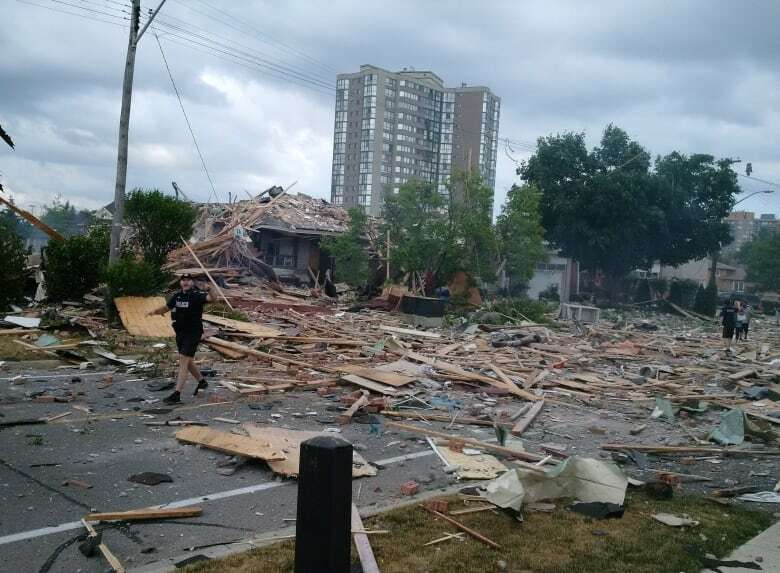 An explosion that rattled a Mississauga neighbourhood Tuesday afternoon cut a swath of destruction witnesses likened to an earthquake. 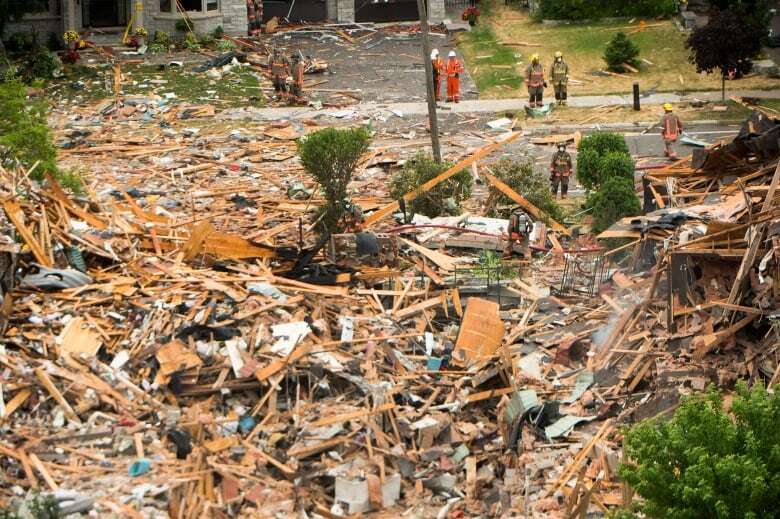 One person was killed at the site of the explosion that levelled one home and damaged 24 others. These images show the sheer destruction of the explosion. Rubble is all that's left of what used to be a home. Firefighters sift through the ruins. Debris sat scattered on the roadway as smoke lingered in the air. Residents take in the damage in the aftermath. Shards of wood, bricks and other remnants of the home littered nearby streets. 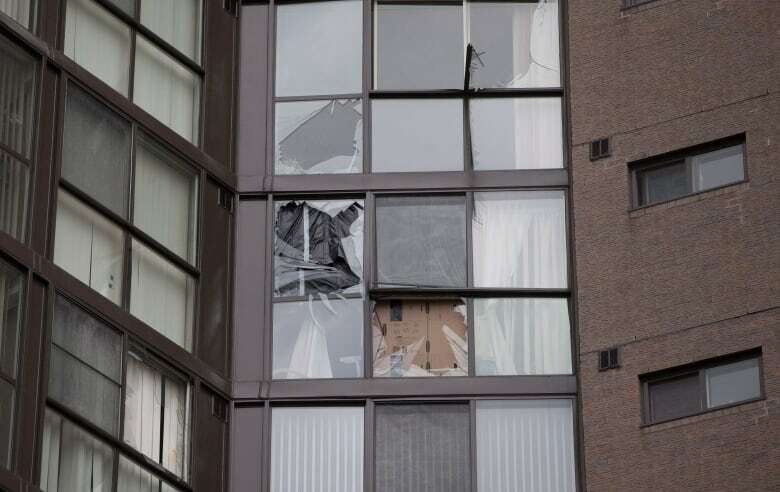 Windows on an apartment near the scene were shattered. Smoke billowing into the air was visible kilometres away. 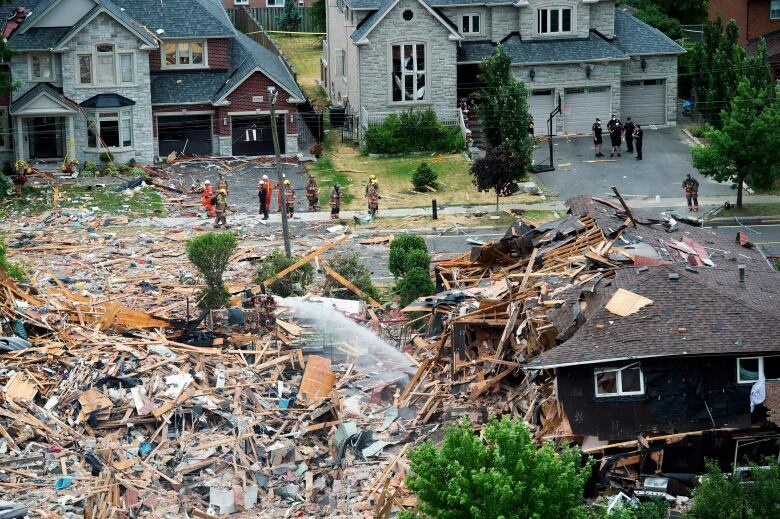 Home levelled, 1 person dead after explosion in Mississauga, Ont.